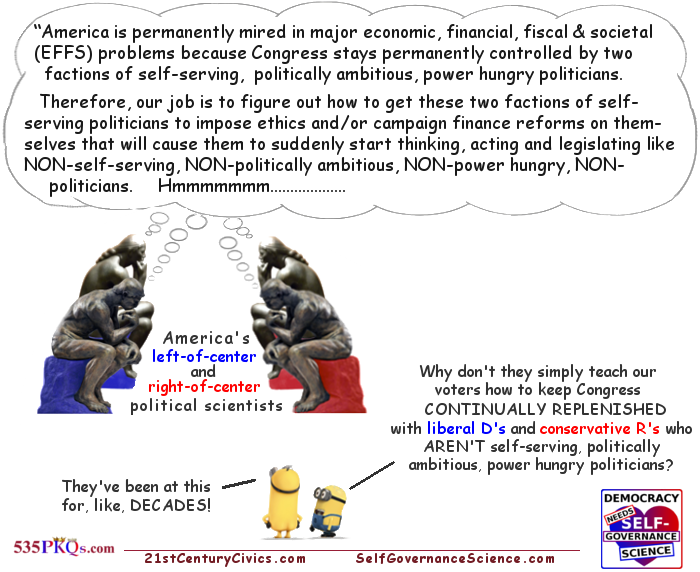 REASON 1: To date, the field of political science has amassed a large body of knowledge re what the process of "politics" looks like in Congress, i.e., how it's practiced -- and the kind of legislation produced by that process -- when Congress' political factions are permanently dominated and controlled by self-serving "politicians" whose political careers/getting re-elected are more important to them than doing what is in the best interest of the nation. 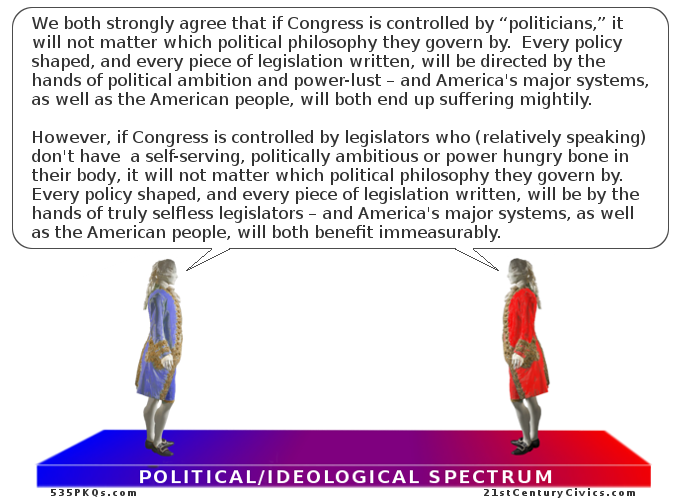 However, political science has amassed essentially zero body of knowledge re what the process of politics would look like -- and the kind of legislation that would be produced by that process -- if Congress' political parties were permanently dominated and controlled by the mirror opposite of politicians -- i.e., legislators who, relatively speaking, didn't have a self-serving, politically ambitious or power hungry bone in their body. 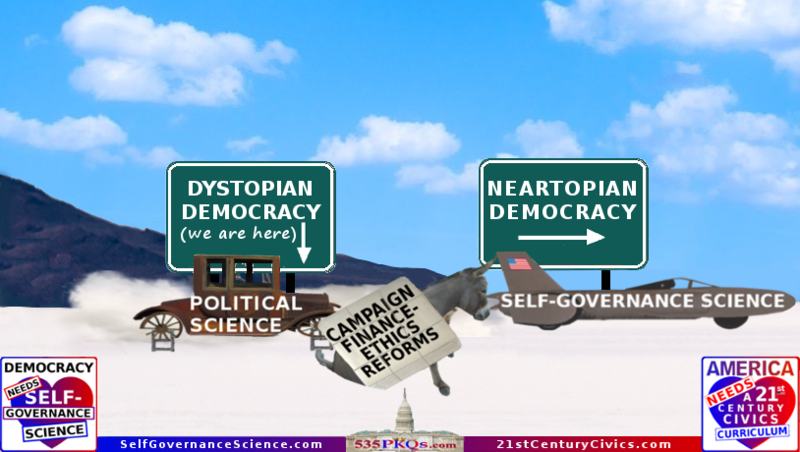 REASON 2: Because of Self-Gov. 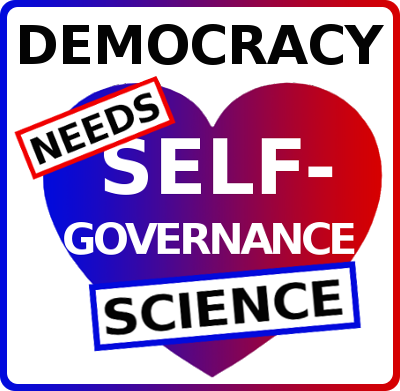 Science, America's ~140 million left-of-center (LOC) and right-of-center (ROC) voters will learn a great many self-governance best practices, do's and don't's, etc. But most notably, our voters will finally learn how to solve their existential-level self-governance problem -- which is that they know how to elect liberal Democrats and conservative Republicans to Congress who can't solve the myriad of major EFFS problems our nation now exists permanently mired in, but don't have the slightest idea of how to elect liberal D's and conservative R's who can. 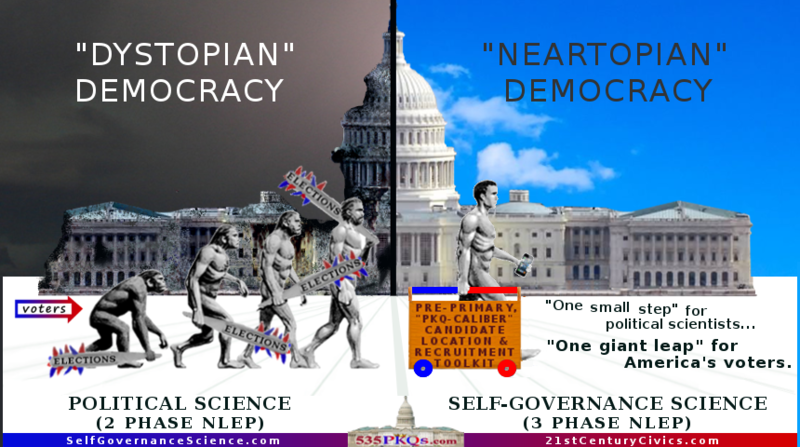 REASON 3: This new academic discipline will address key shortcomings in our political scientists' primitive/outdated, "18th century" understanding of the NLEP -- which ultimately explains so much of that "scientific" discipline's "self-governance ignorance." 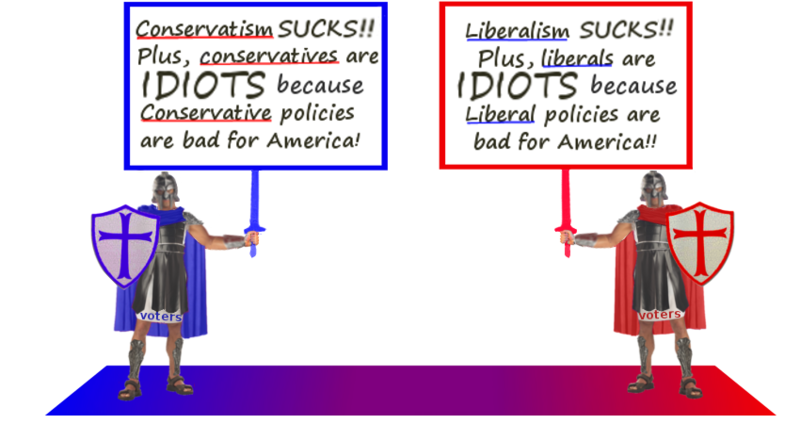 liberals blame all things conservative: conservatism, conservative policies, conservative politicians, etc. for causing, creating or exacerbating the lion's share of those problems, while conservatives blame all things liberal: liberalism, liberal policies, liberal politicians, etc. 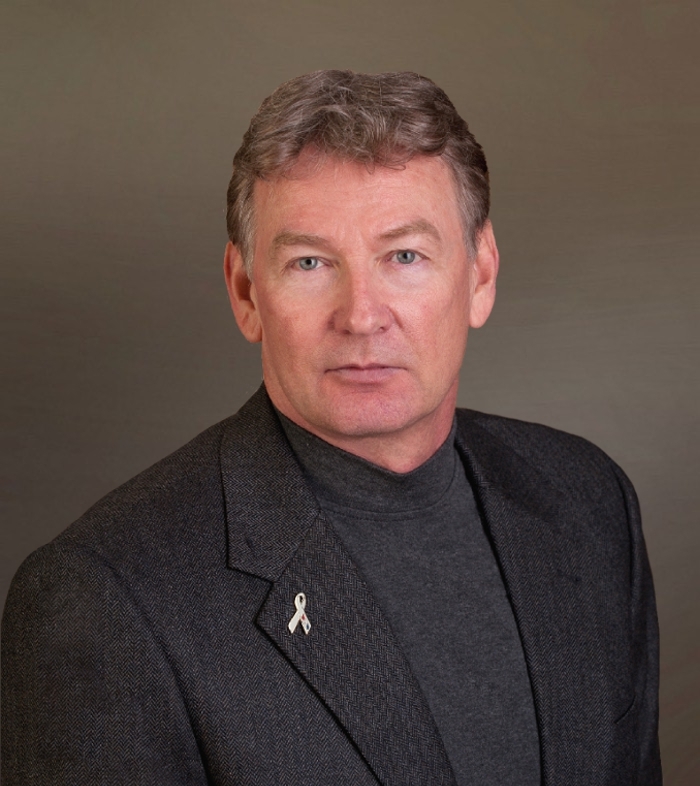 To make a large portion of that wedge simply disappear, our society's voters, and students, must start exploring a number of never before explored thought experiments, which will give rise to a number of never before asked questions -- whose answers will open the floodgates to a number of new insights re the NLEP. The aphorism, "knowledge is power" (attributed to Sir Francis Bacon, 1567 AD), has proven to be true throughout human history, in both the natural and social sciences. However, it is much more informative to say that all of humanity's great advances have occurred because bad and/or primitive ideas, theories, knowledge, solutions, etc. eventually give way to good/better ideas, theories, knowledge, solutions, etc. Suffice to say, history of new scientific (and cultural/societal) ideas strongly suggests that the new ideas, theories, knowledge, solutions, etc. that collectively constitute Self-Gov. 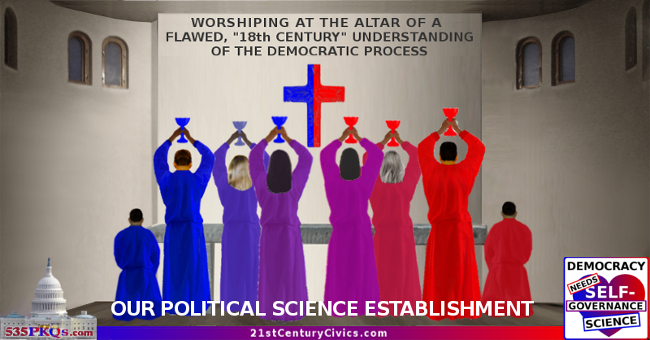 Science will supplant our current "18th century" understanding of the democratic process. And a lot sooner than one might initially think when you consider the speed at which new ideas now routinely take root in our 21st century society. As already alluded to, the need for this new knowledge couldn't be more obvious: our political scientists, analysts and thinkers in academia, think tanks, media and elsewhere have been using terms like broken and dysfunctional for decades to describe our U.S. Congress and national politics -- yet, in all that time, have never come close to figuring out how to "fix" either of them. Congress stays permanently dominated by self-serving PAPs for a variety of understandable reasons. 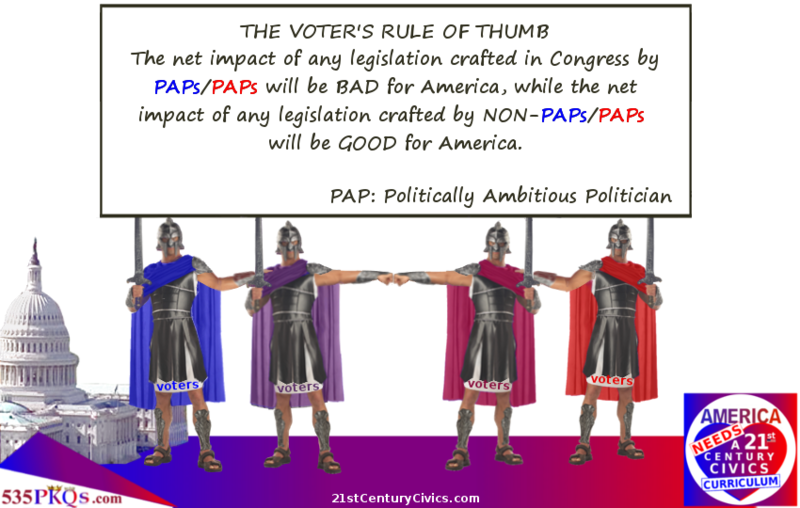 For example, practically from our nation's beginning, America's voters have unthinkingly assumed that PAP-controlled Congresses are a permanent fixture of not just our democracy (constitutional republic for you sticklers), but all democracies. For now, let's say that PAP-controlled Congresses have been a permanent fixture of our democracy almost from the very start because America's voters were never "taught" (by our founders back in the 18th century, and extending to today's political scientists and political "thinkers" in academia, media, think tanks, etc.) how to engage in the process of self-governance (minimally, in the NLEP) correctly, or effectively, or competently. 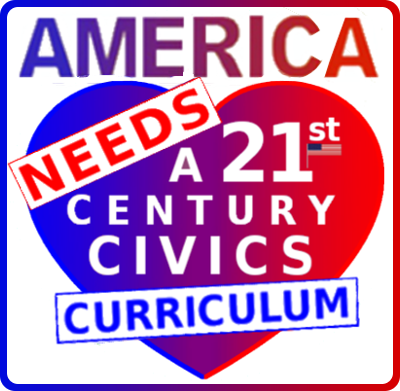 Just like our 18th century founders, none of our 21st century political scientists have ever made an effort to impress on America's voters how vital it is to the health of our democracy -- and to the health of our democracy's many social, governmental, etc. institutions -- for they the voters to involve themselves (in some meaningful fashion) in the "pre-primary, candidate recruitment phase" of America's National Legislative Election Process (NLEP). Our political "intelligentsia" have failed to do this because they view America's democratic process -- particularly our NLEP -- solely through a political/ideological (PI) lens. Meaning, they see the NLEP as a PI battlefield on which two armies of voters wage a bloodless battle at the ballot box (every two years) over which of two sets of legislative policies -- rooted in two competing, zero-sum governing philosophies: liberalism and conservatism -- Congress should implement to solve America's most pressing problems. 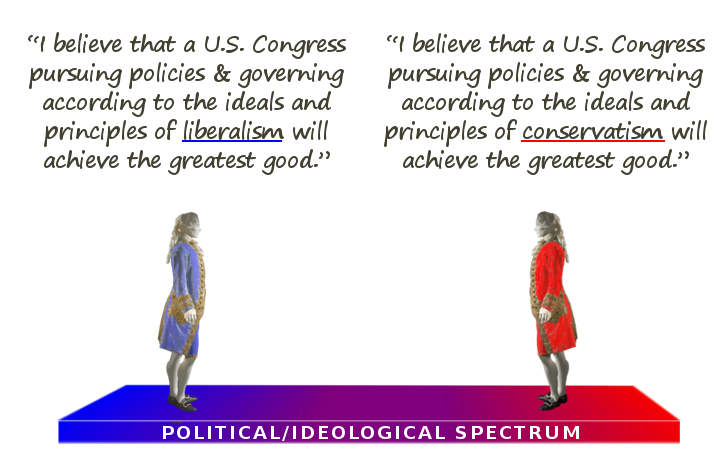 Seen through this lens, what is vastly more important to voters is not whether the candidate is or isn't self-serving, politically ambitious, etc., but which set of policies the candidate will vote for if elected to Congress. This is also the metric voters use to decide if the candidate deserves re-election.